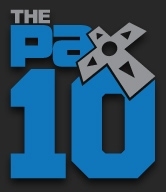 The Penny Arcade Expo 2010 has started and tons of awesome games are there! But the most awesome of them all would have to be our favorite, LittleBigPlanet 2! New stuff is rolling out fast, but we do know that they are supposedly selling Official Sackboy Plushes at their LittleBigPlanet 2 Booth! We suspect these are the same ones packed into the LBP2 Collector's Edition later on this year, but we will post pictures as soon as we get them. 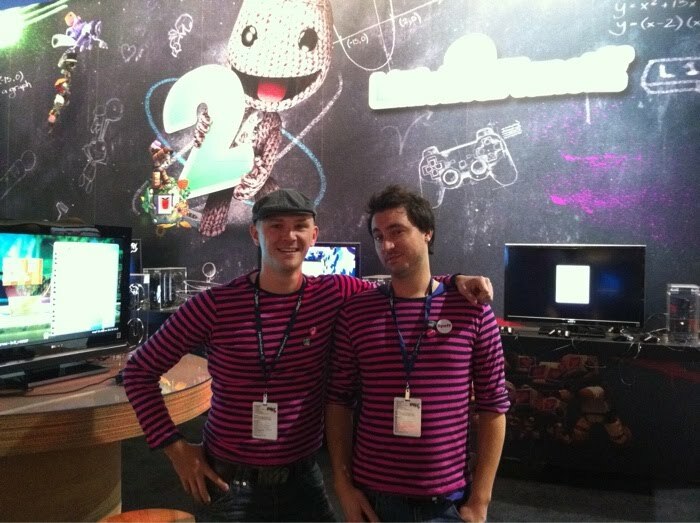 For now, we have a lovely photo from Media Molecule of Community Managers Tom Kiss & James Spafford set-up in matching Media Molecule-looking outfits with LittleBigPlanet 2 Running on Flat Screen Monitors in the Background!